Evensville, TN — The 40th Annual Strawberry Pageant will be held at Rhea County High School(885 Eagle Lane) on Saturday, April 27th, 2019. 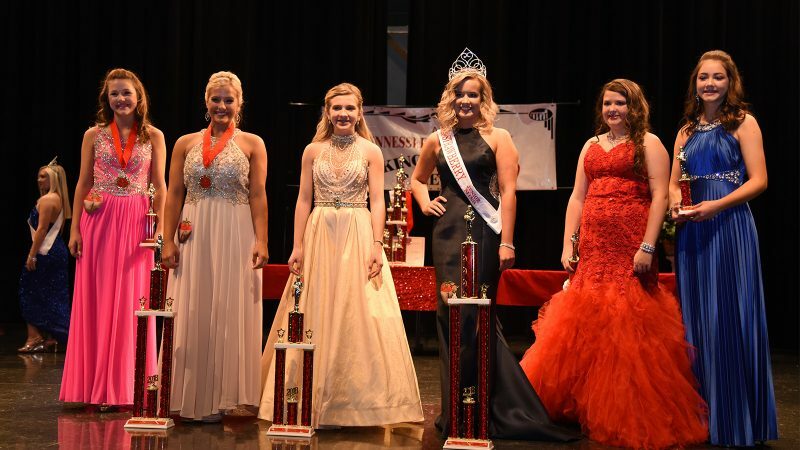 The pageant is open to boys and girls from birth to 20 years of age. A $1000 first place price and $500 second place prize will be awarded this year in the 16-20 year old division. Entry fee is $50 with discounts for second and third same family children. Contestants are judged on personality and dress. This is one of the few non-“glitz” pageants and parents are extremely supportive of this. Non glitz pageants are “natural” pageants. Participants to use excessive/over the top make up, fake hair, teeth, nails, etc. especially participants 15 and younger. Children accepted after this April 12th will pay a $30 late fee and not be in the printed program. No child will be accepted after April 19th. Admission(paid at door) to the pageant is $5 for adults, and $3 for children ten and under. Entry fees are $50.00 for the first child, $40.00 for the second child and $35.00 for the third child in same family. Anyone interested in participating can download the application at Tennessee Strawberry Festival’s website.www.tnstrawberryfestival.com. Application(s) may be filled out online or printed out and submitted at Dayton Chamber of Commerce at Welcome Center, 107 Main Street in Downtown Dayton. Please call the Dayton Chamber of Commerce Monday through Friday at 423-775-0361 if you need more information.